Computers and I go back a while (44 years to be precise), and it struck me (with some horror) that I have been around them for ~62% of the modern computing era (Babbage notwithstanding, ~1940 is normally taken as the start of the modern computing era). So indulge me whilst I record this perspective from the viewpoint of the computers I have used over this 62% of the computing era. 1967: I encountered (but that term has to be qualified) my first computer, suggested to me as an alternative to running quarter marathons on Wimbledon common at school by an obviously enlightened teacher! I wrote a program (in Algol) on paper tape, put the tape in an envelope, and sent it off to Imperial College (by van) to run, on an IBM 7094. A week later, printed output showed you had made a mistake on line 1 of the program. As I recollect, after about eight weeks of this, I got the program to run (and calculated π to 5 decimal places). 1970: By now I was a student (again at Imperial College), and was introduced to Fortran, then a radical new innovation to a chemistry degree. The delightfully named pufft compiler combined with the 7094 again, but this time with punched Holerith cards as input and line printer output. I cannot remember what we were asked to program. I do remember that the punched cards were produced by a pool of punch card operators, working from code pages written by the programmer. Some students (not me!) thought it great fun to give their Fortran variables naughty names (which the punch card operators then refused to punch, thus causing the student to fail the course!). 1971: I really liked this programming lark, so when instant-turnaround was introduced that year, I decided to do a proper program. It was called NLADAD (yes, I was no good at names, even then), which stood for non-linear-analysis of donor-acceptor complexes. The idea was to take recorded NMR chemical shifts, and fit them to an equilibrium A+B ⇔ AB+B ⇔ AB2 using non-linear regression analysis. It must have been all of 200 lines of code (OK, I did not write the matrix inversion routine myself)! Instant turnaround was also great, you got to punch your own cards this time, and had the great excitement of feeding them into a card reader yourself. You then walked about 5 yards to the line printer and waited agog. No waiting one week, this was less than a minute. Or it would have been if the line printer did not paper-wreck every two minutes! (I might add that I have a dim recollection of a member of the computer centre staff standing by to recover these paper wrecks. He, by the way, is now the director of the ICT division here!). 1972: I am now doing a PhD (yes, boringly, yet again at Imperial College). I had found the one and only teletypewriter in the chemistry department. The crystallographers had secreted it away in their empire, but were very dismayed to find me occupying it constantly. Instant was now even more instant. I was now connecting to a time-sharing CDC 6400 computer, at the dazzling speed of 110 baud (or bytes per second). These were small bytes by the way, since the CDC used 6 bits per byte. The result was that one did everything in UPPER CASE, since a 6-bit byte only allows 64 characters! My (still Fortran) programs reached probably 1000 lines of code now, and I was engrossed in deriving non-linear analyses of steady state chemical kinetics (about four different kinds of rate equation as I recollect). Ah, the joys of covariance analysis, and propagation of errors (I was in a kinetics lab, and all the other students plotted graphs on graph paper, and if pressed, plotted gradients of graphs, the so-called Guggenheim plots. I thought this the dark ages, but no-one volunteered to join me in this single teletypewriter room. Not even the attractive girls in the group. I was the geek of my time, no doubt about that. My kinetic analysis did however have one upside. Its how I meet my wife to be a few years later!). 1974: PhD completed, I was now ready to go to Texas, where everything is bigger (and in terms of computers, slightly better, a CDC 6600 now and a 300 baud teletypewriter!). I had been computing now for seven years, and finally I actually got to SEE the device for the very first time. My mentor, Michael Dewar, had a sort of special relationship with the university. His students (and possibly only his students) were allowed to go into the depths of the machine room, where behind plate glass you could see the CDC 6600. I soon learnt how to get even closer. It was not particularly exciting however. I was more entranced with the CALCOMP flatbed plotter, which was located next to the 6600. Pictures at last (you probably do not want to know that to convert my kinetics in 4 above to pictures, I got quite expert in using a french curve. Look it up before you jump to conclusions). Part of the pact I negotiated was that I was only allowed into the inner sanctum at 03:00 in the morning (sic!). Still a geek then! 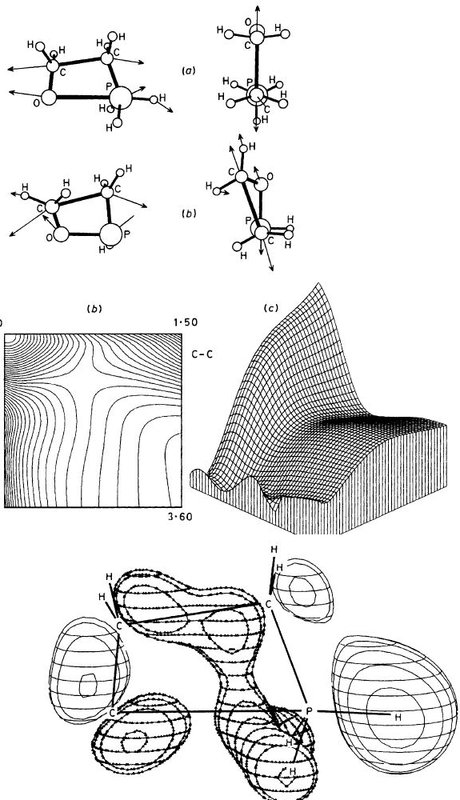 Oddly, I was one of the few students in Dewar’s group using the CALCOMP, but at least we now had pictures of the molecules I was now calculating (using MINDO/3). To put the computing power into context, in 1975, Paul Weiner, another group member, announced that he had completed a full geometry optimisation of LSD, this having taken about 4 days to do on that over-worked 6600. The entire group went out to celebrate. Many pitchers of beer were drunk that nite. 1977: Back to Imperial, where we might have also now had a CDC 6600. And a Tektronix terminal running at the dizzying (hardwired end-to-end) speed of 9600 baud. I learnt to Word process on this device (using a word processor, written in Fortran, although not by me) and I wrote three review articles by this means, using a fancy phototypesetter as the printer. My next program, STEK, probably ran to about 5000 lines of code, and it persuaded the Tektronix to plot all sorts of things, ball&stick diagrams, isometric potential surfaces, molecular orbitals, and the like (and jumping ahead, my experience with this program eventually led to CML, and Peter Murray-Rust, but that is indeed jumping ahead). I think I also managed to gain access to the Imperial machine room, that inner sanctum, yet again. But for reasons I will not go into, it was not as interesting as the Texan machine room. Chemistry Computer graphics, circa 1977-85. 1979: I encountered a Cray 1 computer, and probably also 8-bit bytes (and yes, lower case printer outputs) for the first time at the University of London Computing Centre. 1980: Remember that teletypewriter, encountered earlier. Well these were now running at 2400 baud and I started to organise the deployment of a chemistry department computer network to sprinkle several such terminals around the department. The controller was a PAD, and in that year, we introduced STN ONLINE using this network. It was the first time we could search CAS online ourselves (previously, it was a service offered by the library). Literature searching has not been the same since. 1980: I finally again encountered a real computer, which one could happily listen to without creeping into machine rooms in the middle of the night. It was the data system on a Bruker Spectrospin 250 MHz superconducting NMR spectrometer. I had many adventures on this system. It was installed, by the way, on more or less the same day as the birth of my first daughter Joana. It had a hard drive (5 Mbytes as I recollect, and cost an absolute fortune, around £10,000 if I remember correctly). 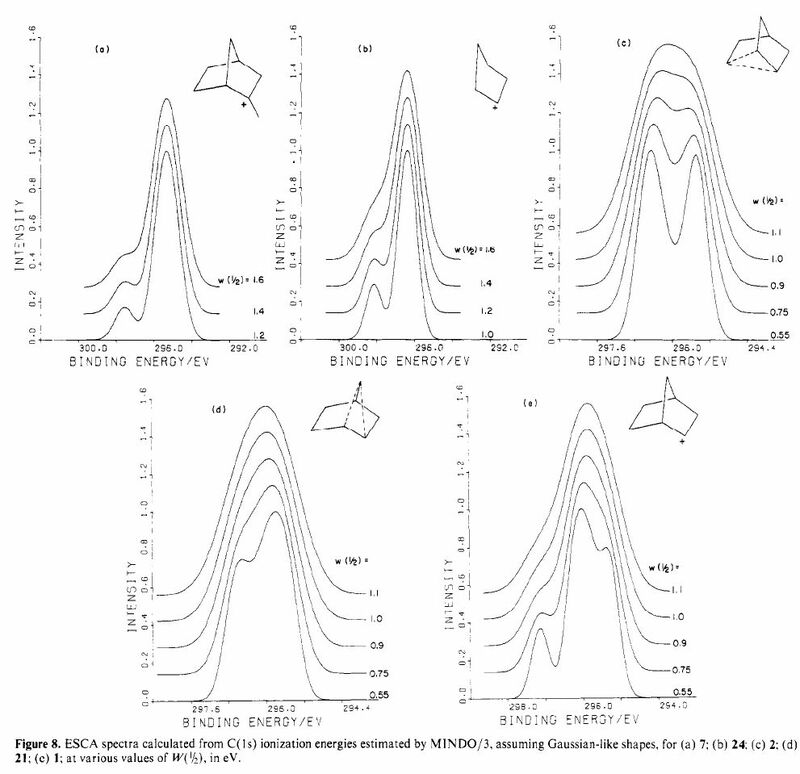 Combining Quantum mechanics and NMR. 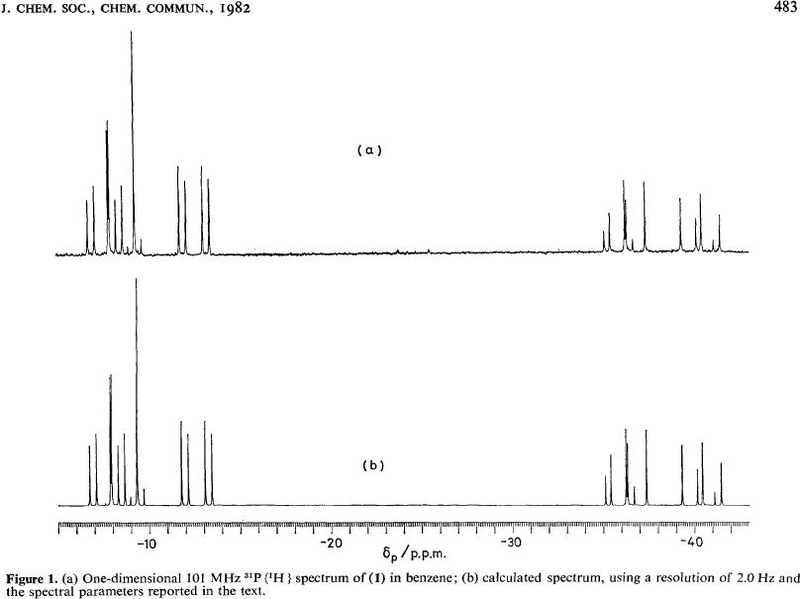 Computer graphics 1982, from NMR spectrometer. 1982: More networks, this time a curious computer known as the Corvus Concept, using a networked hard drive (possibly as big as 20 Mbytes by now), and a large screen. 1985: Enter the Mac (OK, the IBM PC came a little earlier, but it was not entrancing). Now one really had a tactile computer that made noises (not always nice), produced smoke signals occasionally, and ejected its floppy disk incessantly. Yet another revolution to cope with. As I type this, I look down on that Mac, which is still underneath my desk. Wonder if its worth anything on ebay? Well, a second consecutive blog, with (almost) no pictures or molecules. And I have only gotten to the half way stage of my story. Better break off then. This entry was posted on Thursday, July 7th, 2011 at 2:17 pm and is filed under Chemical IT. You can follow any responses to this entry through the RSS 2.0 feed. You can leave a response, or trackback from your own site. My first distant contact with computers was a little earlier than Henry. My first year Physical Chemistry tutor tried to teach us something about the University’s Mercury computer as light relief – probably because we were all so poor at thermodynamics. Re 1 2 and 6: I never came across algol on the 7094 – my first contact with the service was with PUFFT – always in capitals as there was no lower case on punched cards. The CDC systems at Imperial were versions of the 6400 and its successors- the ULCC had the 6600. I also managed to sneak into various machine rooms at several sites – one of my contemporaries at IC was a crystallographer who went on to work for CDC. The Bruker data system was a custom made thing – the disc was a 5Mb cartridge plus a 5Mb fixed disc which needed endless maintenance and I think the price quoted as a stand-alone system was well over £10K. 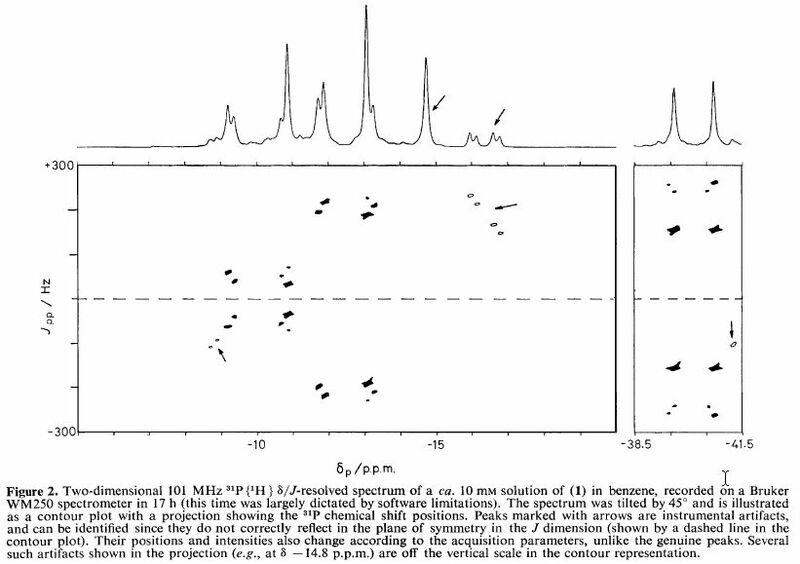 (Apparently the earlier protein NMR users bought extra systems to do data reduction.) Bruker pushed Pascal, which I was never a fan of, and I managed to get a version of FORTRAN from them. I wrote a program for Henry to convert spectrum data from the strange internal format into something he could use with a simulation package, but transferring the resulting text file to something else was non-trivial. The Bruker hardware did write 8 inch floppies and magnetic tapes, but basically in formats nothing else would read. I managed to miss the Corvus Concept – a lucky escape, I now realise. What, no Vaxen? I would have thought everybody passing through those times touched them… I can see skipping PDP-11’s, but man, Vaxen were everywyere. The period 1986-1991 approximately was the era of the Vax(en). We did also use a VAX 8600, connected to an FPS 164, but that may be the topic of my next post.